The 2019 Honda CRF110F represents a significant upgrade for the first step up from the pure-beginner Honda CRF50F off-road motorcycle. With a new frame and fuel injection, the 2019 Honda CRF110F steps into the 21st century. 1. EFI will make life much easier for 2019 Honda CRF110F owners. With the tiny jets and sometimes infrequent operation of off-road motorcycles for kids, carburetors can be a hassle of ownership. The new EFI system eliminates all that, along with providing more consistent operation of the little four-stroke powerplant. Starting on cold mornings will be much easier without having to nurse the choke during the long warmup period. The CDI ignition system has been updated to a more reliable fully transistorized unit. 2. The SOHC two-valve 109cc motor is otherwise unchanged. 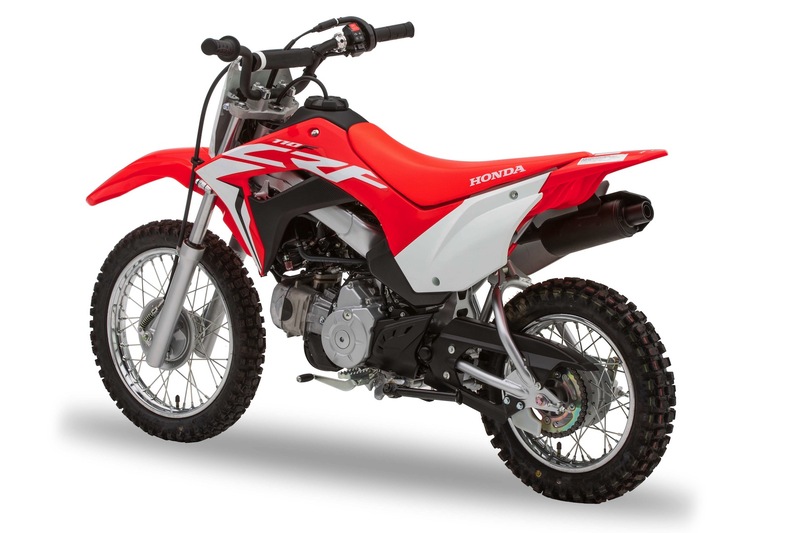 The 2019 Honda CRF110F retains electric start (with kick backup) and the auto-clutch four-speed transmission. This powerplant has proven to be absolutely bulletproof. 3. Lacking a petcock and reserve position, kids will have to pay attention to the low-fuel warning light. If the one-gallon fuel tank on the 2019 Honda CRF110F runs dry, there won’t be the quart or so in reserve. 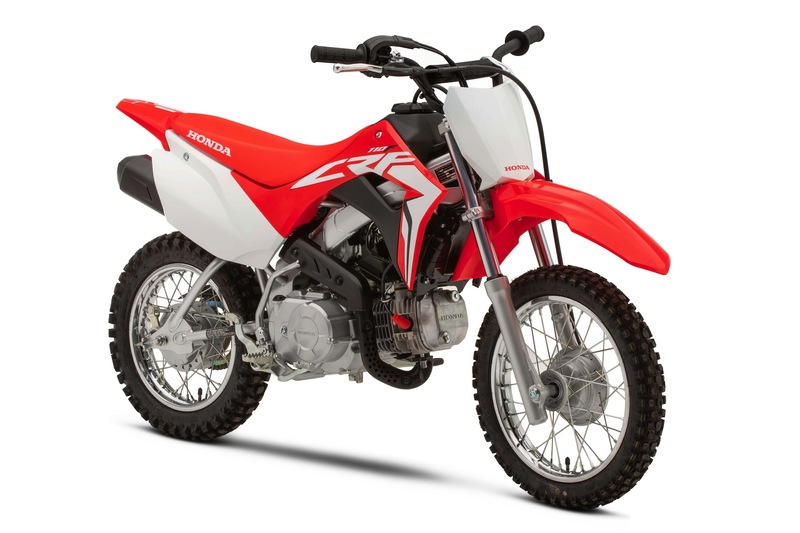 Due to the fuel pump, the new CRF110F’s fuel tank holds 13 fewer ounces. Our guess, though, is that the range will be farther due to more efficient fueling. When the light does come on, there’s less than a quart left in the tank. 4. There’s a new steel twin-spar frame on the 2019 CRF110F, replacing the traditional backbone frame, and the geometry. Wheelbase remains the same at just under 42 inches, but the front end is raked out to 25.1 degrees—nearly a degree more than the previous model. That should make the CRF110F more stable. 5. The new chassis has longer rear wheel travel. The 31mm fork is unchanged, with just short of four inches of travel, while the rear wheel travel gets nearly a half-inch increase to 3.8 inches. Again, this will make the CRF110F more stable in rough terrain. The suspension is non-adjustable, but Honda has a history of getting the suspension settings right on youth motorcycles. 6. The 2019 Honda CRF110F is lower and heavier than its predecessor. Weight is up to 170 pounds, seven more than last year’s CRF110F—the EFI system is behind at least some of that. The seat height is down by nearly a half-inch to under 26 inches, even though the seat thickness has been slightly increased. The ground clearance has been reduced almost a quarter-inch, which might be noticed occasionally in rocky riding areas. None of these are huge changes, though the lower seat height makes the new CRF110F just that much more accessible. 7. Half-waffle handgrips are new, replacing a full waffle pattern. This is good news for riders with smaller hands. 8. Two critical pieces of information we don’t have for the 2019 Honda CRF110F are price and when it will hit showroom floors. The previous CRF110F was $2249. Expect to pay a small premium for the updated 2019 CRF110F, but not a whole lot more. 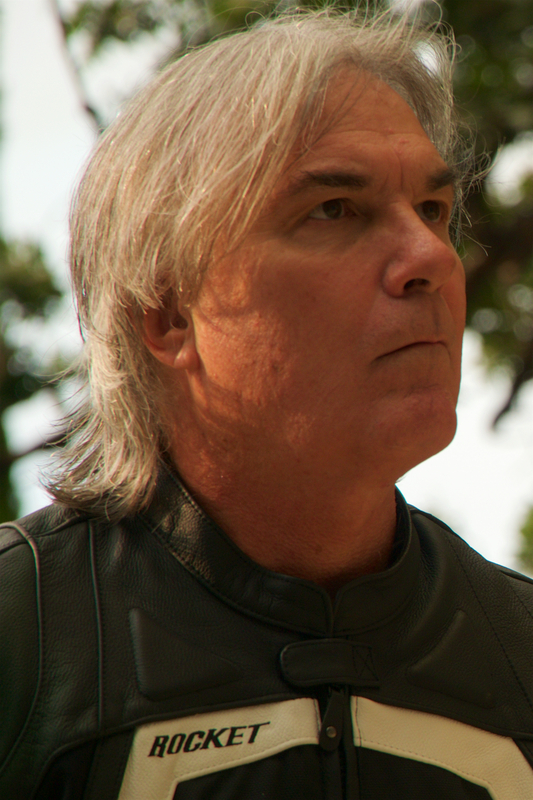 We’ve been lobbying for EFI for kids trail motorcycles for a few years now, so it’s great to see it finally implemented. The new twin-spar frame is just icing on the cake, along with the cool new graphics. Let’s hope Honda can get these into dealers by Christmas!